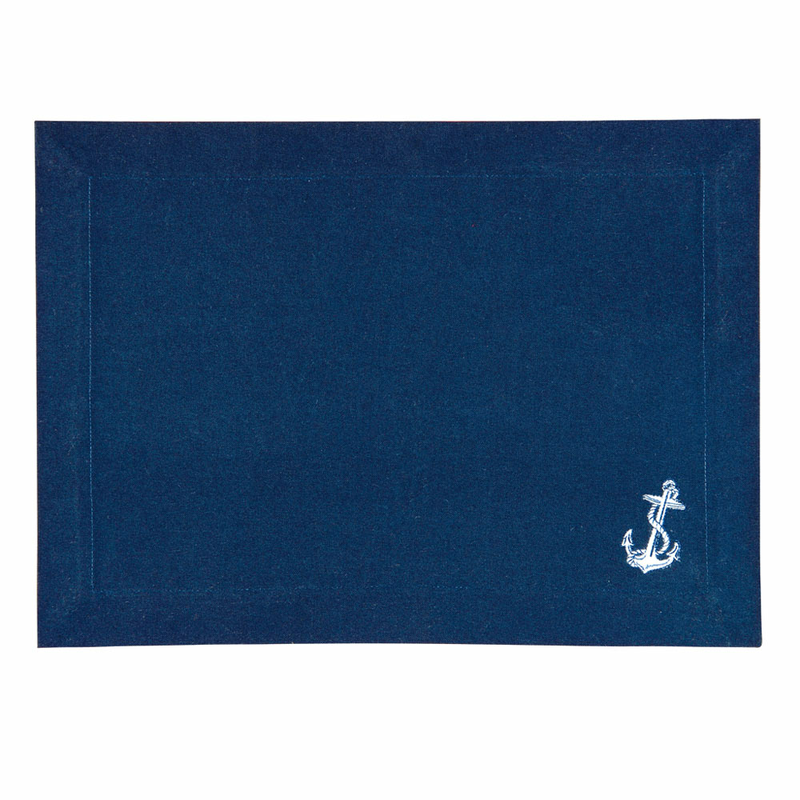 This Set of 12 Anchor Canvas Placemats enhances your nautical dining table with denim blue tailored canvas with a corner white anchor design. This coastal kitchen decor ships from the manufacturer. Allow 1 to 2 weeks. For many more pieces, we ask you to make time to look at our full assortment of coastal kitcen decor at Bella Coastal Decor today.